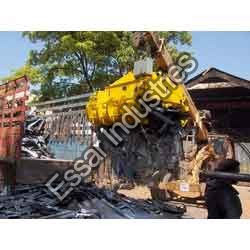 We are engaged in offering a wide range of Industrial Grabs. These grabs are highly useful in material handling purposes in heavy industries. These bulk grabs are available in a variety of sizes, capacities and configurations, suitable to be fitted on different types of cranes. These are manufactured from superior quality raw materials, our range of hydraulic grabs help in minimizing maintenance, low power consumption; reduce downtime as well as operational time. These products are light in weight and used friendly in nature. 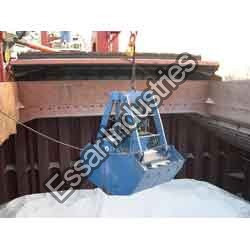 These Grabs are available in the capacity from - 3 Tons to 5O Tons & Span Up to 30 Metres. We offering wide range of Grab Single Rope. 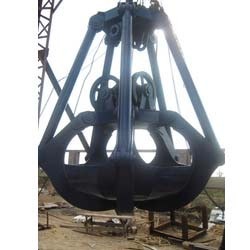 Designed and manufactured by our reliable vendors, who use superior quality raw material and machines, these grabs are strictly examined prior to dispatch so as to ensure their conformity with industry distinct standards. Moreover, to gain extreme satisfaction, these garbs are offered in different specifications at industry leading prices. We have achieved huge appreciation in the market for manufacturing and trading Electro Hydraulic Timber Grab. These grabs are known for excellent functionality and durability attributes owing to their fabrication being done as per latest industrial norms. Our offered grabs are available with us in varied specifications for catering clients needs with utmost precision. 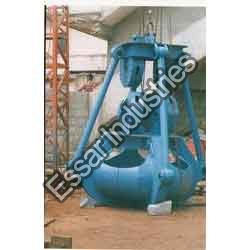 Furthermore, these grabs are supplied to customers at nominal price tags. Our reputation in the market is largely attributable to our precision-designed Grab Bucket. 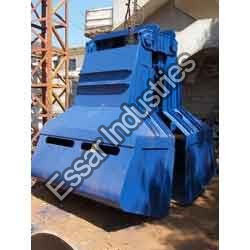 These buckets are manufactured employing the most modern technology and well-tested required material in observance with set industry distinct rules. Our Grab Buckets are available at most reasonable prices that are easy to operate and high in efficiency.Offered buckets are rigorously examined under the severe inspection of our quality managers in order to make sure their high durability. We are well-known enterprise influential in manufacturing and supplying superior quality Orange Peel Grab. Our offered grabs have much appreciation in the market for high durability and finishing traits. Manufactured using high-quality material and modern-age technology, these grabs are available with us in varied stipulations. In addition to this, we make the supply of these products in tamper-proof packaging at nominal price tags. We have firm allegiance in manufacturing and supplying superior quality Multi Jaw Grab. Our offered grabs are much applauded in the market for exceptional durability and excellent finishing aspects. Designed by skilled expertise with the use of new-age technology and high-grade raw material, we have with us wide specifications of these grabs for supply to customers as per their need. Suitable for loading to wagon, Lorry and feeding to baling presses. Capacity: 1 to 5 M³. 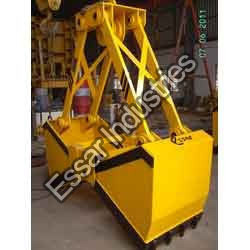 We are highly anticipated in the market as major manufacturer and supplier of Scraper Grab. These grabs have wide use in the market for performing effective material handling systems owing to their high sturdiness and excellent finishing. With the fabrication being done as per latest industrial norms, these grabs are known for high robustness and superior finishing aspects. We are well-known enterprise instrumental in manufacturing and trading Two Rope Mechanical Grab. These grabs are much appreciated in the market for robust construction and excellent finishing traits as these are designed as per latest industrial norms. 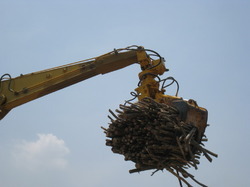 We have been to able to serve vast needs of customers by supplying these grabs in various specifications. 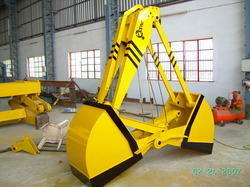 We are well-known enterprise instrumental in manufacturing and supplying superior quality Dredger Grabs. These grabs are much applauded for durability and excellent finishing traits hence, have intense uses in industries. Designed and manufactured with the aid of modernistic technology, these grabs are offered to customers under various stipulations. IN addition to this, we intend to make the supply of these products at market leading rates. Electro Hydraulic Clamshell Grab is widely used for many industrial purpose of transferring products from one place to other. These grabs are highly useful in material handling purposes in heavy industries. Designed and fabricated with the use of high-end technology and finest grade raw materials, these grabs are durable and have high load carrying capacity. We make the supply of these grabs in durable packaging at nominal price tags. Available at affordable prices in the market. 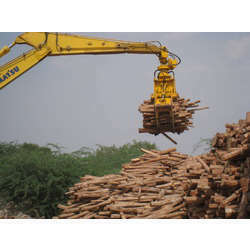 We are one of the major manufacturers and traders involved in manufacturing and trading Wooden Grab. 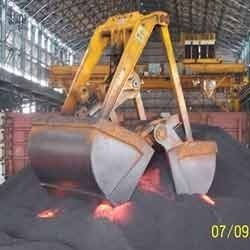 Our offered grabs are known for sturdiness and high-end functionality thus, making them ideal for use in logging and construction industry. These grabs are available with us in various stipulations for serving vast needs of customers with uttermost perfection. Looking for Industrial Grabs ?